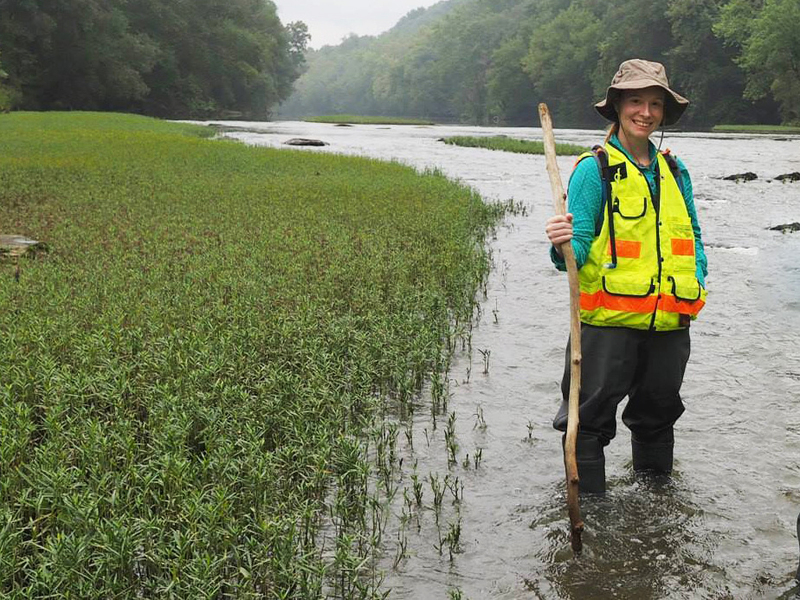 Farragut Stormwater Coordinator Lori Saal helps protect local waterways through public education and vigilant monitoring of streams and outfalls. Saal is in charge of seeing that the town of Farragut fulfills the requirements of its stormwater permit (first received from the state in 2003). The town has implemented several programs and standard procedures to achieve the minimum measures set forth in the permit. Education is one of the permit requirements, so Saal looks for opportunities to educate the public about stormwater-pollution prevention. Because stormwater isn’t treated before being discharged into local bodies of water, it’s crucial to reduce detergents, oil, grease, pet waste, fertilizers, pool water, etc., that wash away when it rains. Sediment from erosion is a major pollutant as well, so it’s important for residents to prevent erosion on their properties. It’s also important to know what you can and can’t do with a stream on your property. For example, if a stream crosses your land, you own the property, but the state owns the water. That means the state has jurisdiction from the top of the stream bank down. So, before you put a bridge over your stream or alter the stream banks or channel, you need to get permission. For more information about getting an Aquatic Resource Alteration Permit, click here. You should also contact the town to inquire about specific FEMA-related restrictions. Another requirement is protecting streams from illicit discharge. The town conducts regular dry-weather screenings of certain outfalls – pipes or drains that discharge into streams – to check for signs of pollution. If there hasn’t been recent rain, outfalls should be dry. If they’re not, the water is tested for things like detergent or ammonia, which shouldn’t be present in a stream. Most of the inspected outfalls are in commercial areas or residential neighborhoods that are near commercial areas. If polluted water is found in the outfalls, some detective work is required to find the source. That’s where a current University of Tennessee project will help the town. This is the second year of a stormwater mapping project being conducted by the university. Last year, UT students and faculty located and photographed assets to create a digital map of Farragut’s stormwater system. Until now, the stormwater department has used paper maps during inspections. But the digital map created by the project will enable town staff to see the entire network of pipes and inlets, which will allow them to find pollution culprits. It will also help them determine if visible pollution is reaching a stream. This year, the stormwater inventory will focus on investigating the condition of the town’s stormwater infrastructure. The UT team is examining stormwater pipes that are old or in poor condition, and their research will include sending cameras into the pipes to assess the risk of failure. This will help the town determine a replacement schedule that could reduce the likelihood of failures like Red Mill Road and Maple Tree Drive. We’ve all seen what happens when there is a problem with water quantity. 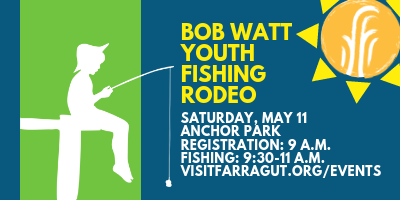 Farragut citizens should also be concerned about water quality. It’s not just a matter of protecting the environment – it’s the law.